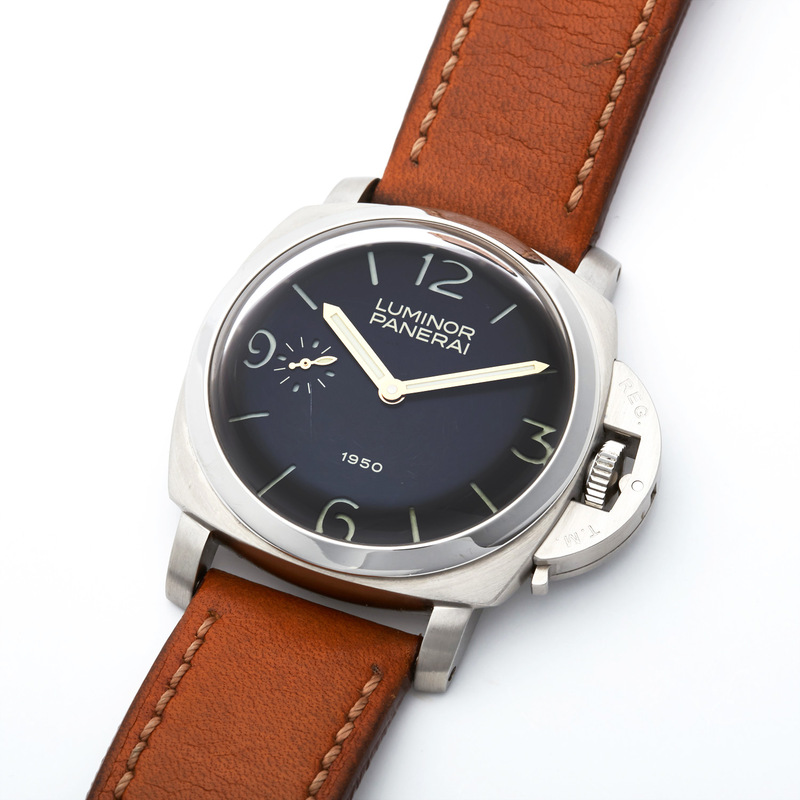 The PAM 127 is a modern Panerai classic that doesn’t really require an introduction. Born in 2002 as an almost identical replica of a modified 6152/1 with Angelus 240 movement, this Special Edition with an amazingly domed sapphire crystal soon developed a cult-like following. The PAM 127 even has its own nickname which is: “Fiddy” – for Nineteen-Fiddy. After initial difficulties, mostly due to the enormous size of 47mm, the watch was accepted among Panerai collectors and prices began to skyrocket into stratospheric heights. According to the modern Panerai company, the PAM 127 is the replica of a very specific historical Panerai watch, the very watch by the way, which already served as an example for the Pre Vendôme “Luminor” (Ref. 5218-201/A) from 1993. The “Fiddy” is certainly a great watch but the story behind it is just another sad example of how much the company that calls itself “Officine Panerai” struggles at assessing the true history of the amazing brand they bought. To understand where the design of PAM 127 truly originates, we need to go back in time. The original Panerai company was a highly specialized supplier of technical equipment to the Italian Navy. With Giuseppe Panerai’s death on Feb. 7, 1972, G. Panerai e Figlio was on the brink of closing down. 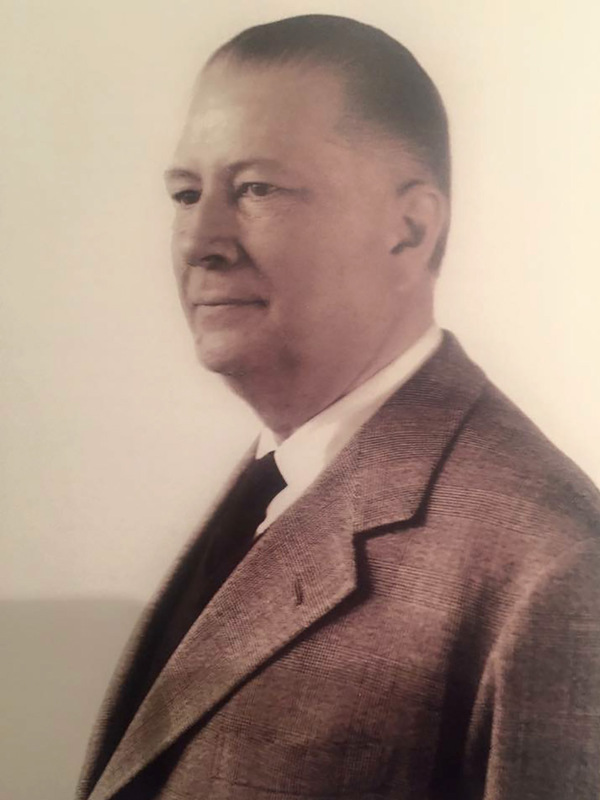 Mr. Panerai was the mastermind behind Panerai, he was the accountant, the engineer and the contact to the Italian Navy and renowned Swiss watchmaking companies. When he died, he took all the knowledge about his company to his grave. An officer of the Marina Militare named Dino Zei was asked to take over the helm of the company as G. Panerai e Figlio was indispensable to the Marina Militare. 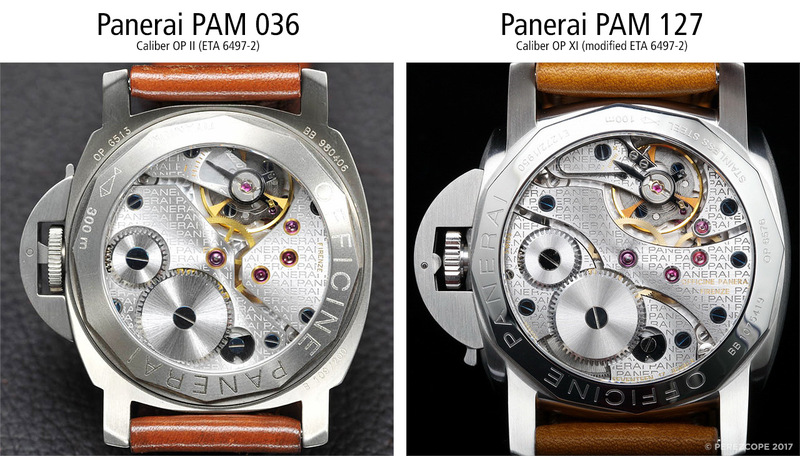 Zei accepted and soon changed the name from G. Panerai e Figlio (Guido Panerai & Son) to Officine Panerai Srl. Later in 1984 the company form was changed to Officine Panerai SpA and the legendary OP logo was introduced. The company grew organically but also through acquisition of other companies or their equipment. Most projects were subject to military secrecy. 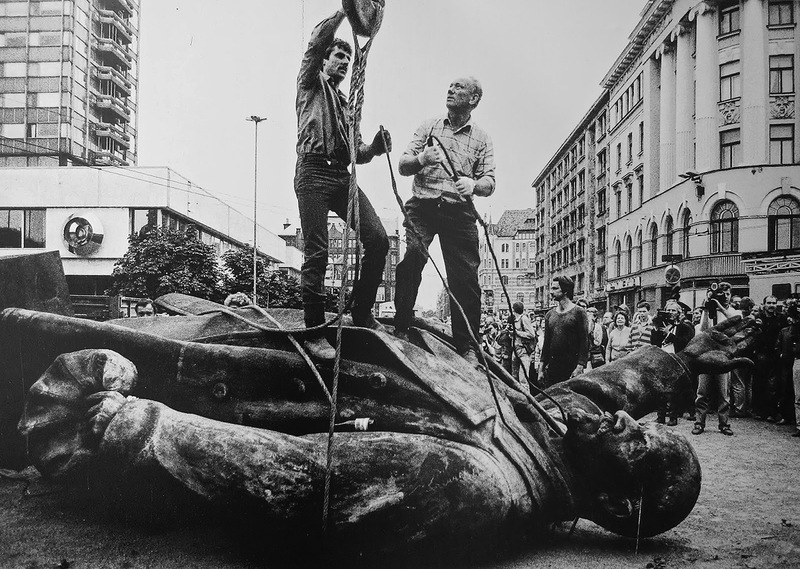 In the early 1990s, the geopolitical situation changed abruptly with the collapse of the Soviet Union and the end of the mighty “Warsaw Pact”. The North Atlantic Treaty Organization aka NATO lost their main adversary. Most western governments reduced their military expenses drastically and for Panerai, who was highly dependend on Italian Navy contracts, this new situation resulted in a major blow that threatened their very existence. In order to survive, the company had to find new ways of generating income. 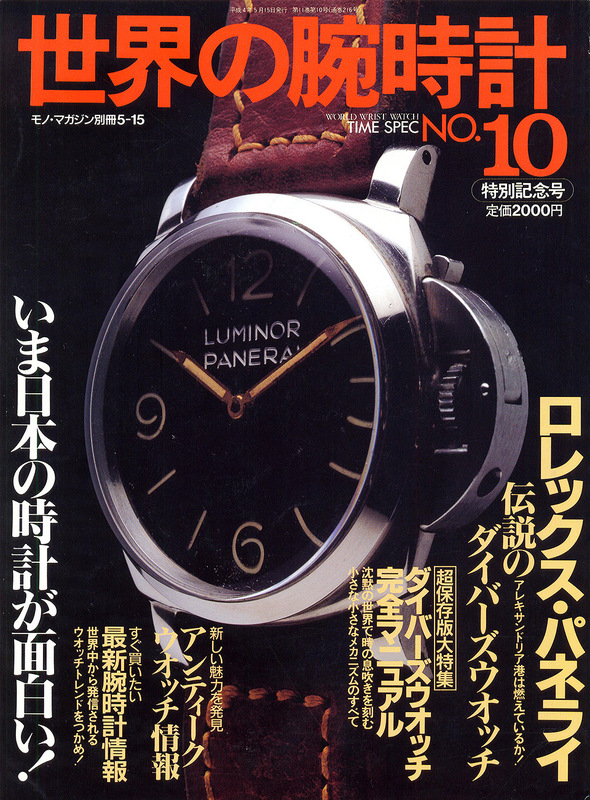 An article about vintage Panerai watches published in a Japanese watch magazine in 1992 had generated lots of interest from the watch collecting community. Panerai’s CEO Dino Zei recognized the potential of producing watches for the civilian market and gave it a go in an attempt to survive. This gave birth to 2 different “Pre Vendôme” models. The Luminor and the Mare Nostrum, Contrary to popular belief, these watches were NOT designed by Alessandro Bettarini, who was head of the Panerai design department. The Swiss company Guenat SA Montres Valgine designed these watches. The Luminor was based on a modified Rolex 6152/1 which was sent by Panerai to Switzerland. The Mare Nostrum, on the other hand, was based solely on a photographic plate that was found in the archives. The modified Rolex 6152/1 which was sent to Guenat SA was a vintage piece that was on display in Officine Panerai’s old exhibition room in the Villino Panerai (Panerai Mansion). This watch was later handed over to Vendôme and is still part of the Archivio Storico Panerai. It is interesting to note, that the case of the “Luminor” is considerably different than Ref. 6152/1. The size was reduced from 47mm to 44mm but the most significant difference is the shape. Compared to the streamlined 6152/1 case, the Luminor appears a bit bulky and unrefined. The reason for this is pretty simple. 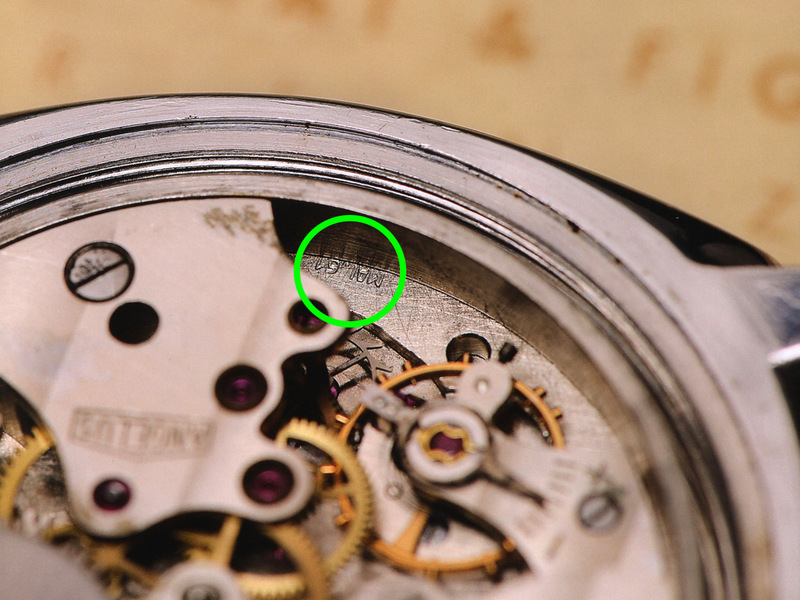 The caseback of the 6152/1 is clearly marked with Rolex hallmarks and it’s only natural that Guenat SA, a reputable Swiss watchmaking company, didn’t dare to make a 1:1 copy of a Rolex case. Instead, they created a case that, although clearly inspired by the original, had a very own character. 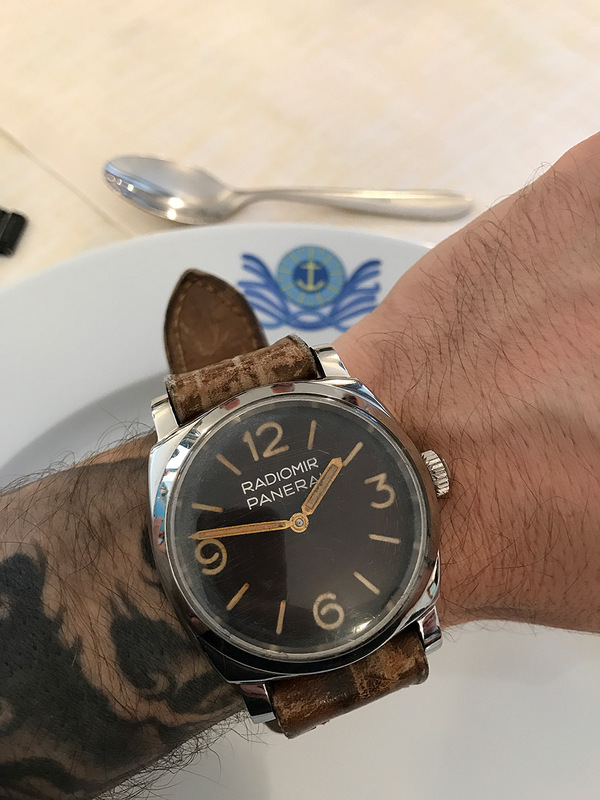 As a result, Stallone wore one of six Luminor Logos he had received from Officine Panerai in his movie “Daylight”, which was being shot in the Cinecittà Studios in Rome during that time. Apart from the six Luminor Logo (5218-201/A), Stallone also received four Mare Nostrum (5218-301/A), two Luminor Marina Militare (5218-202/A) and one Luminor Marina (5218-203/A) with the initial shipping. 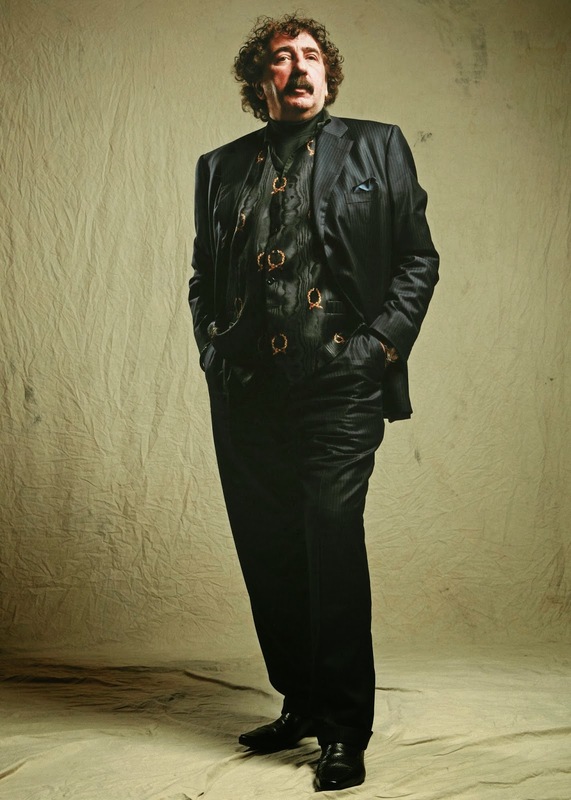 Dino Zei, the CEO of Panerai, agreed to produce two special series of watches specifically designed for Stallone. These watches had a “Slytech” designation on the dials and the actor’s signature on the casebacks. Of these series, Stallone received 54 pieces. The actor took these watches without ever considering whether a payment should be made. 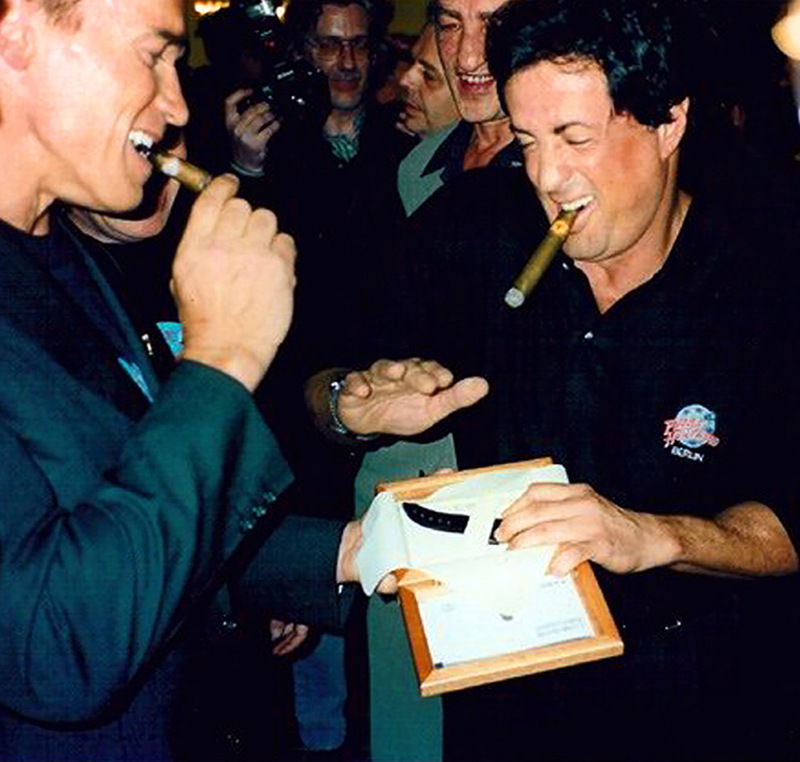 A business contract sent to Stallone for signature was never returned. For a company like Panerai that was struggling financially, this situation was very not helpful. 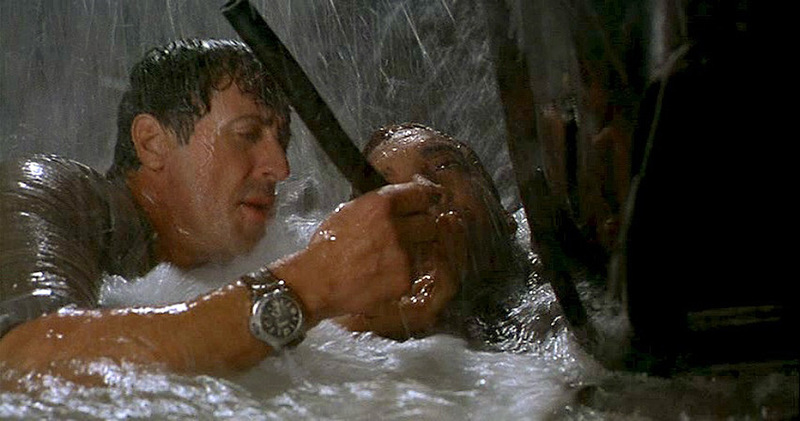 However, Stallone gave some of the watches to his friends and Panerai received quite an exposure in Hollywood. This is how the Vendôme Luxury Group, a group created and controlled by the Compagnie Financière Richemont SA, became aware of Panerai’s iconic watches and soon indicated interest in taking over Officine Panerai’s watch department. In order to achieve a higher selling price, Officine Panerai traded a number of Pre Vendôme watches for a bunch of old Angelus 240 key-winding movements. 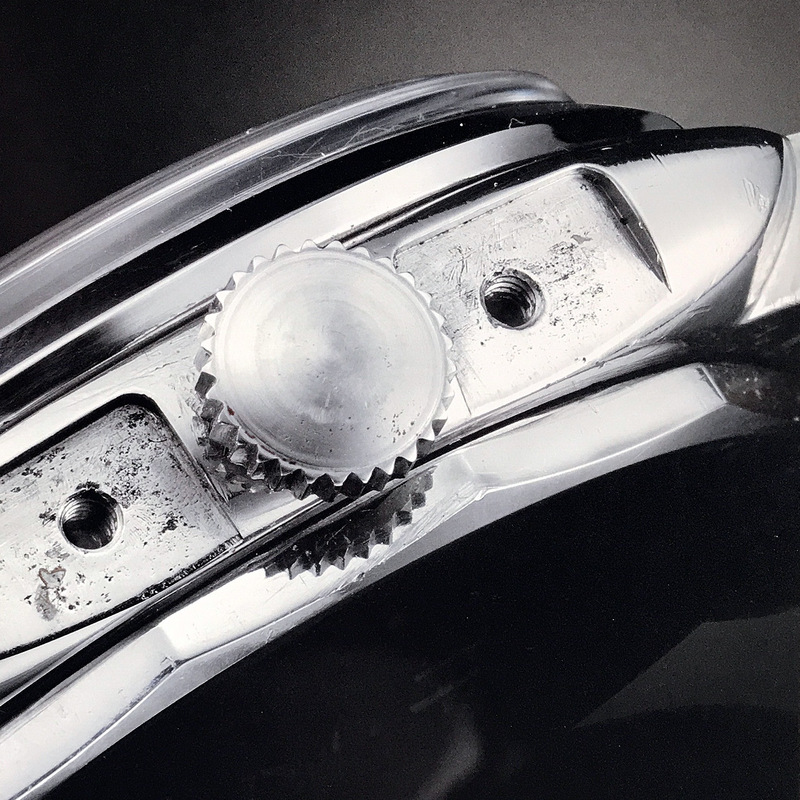 Alessandro Bettarini’s design department traced all technical drawings from Guenat SA and added the Officine Panerai header. In March 1997, a deal was signed in which Vendôme took over the Officine Panerai brand and the remaining watch stock, including various vintage watches, movements and instruments for the price of EUR 1,4 million. Vendôme set up a completely new company using the newly acquired name Officine Panerai and a certain Angelo Bonati, who had been a long-time employee of Vendôme, was appointed CEO. 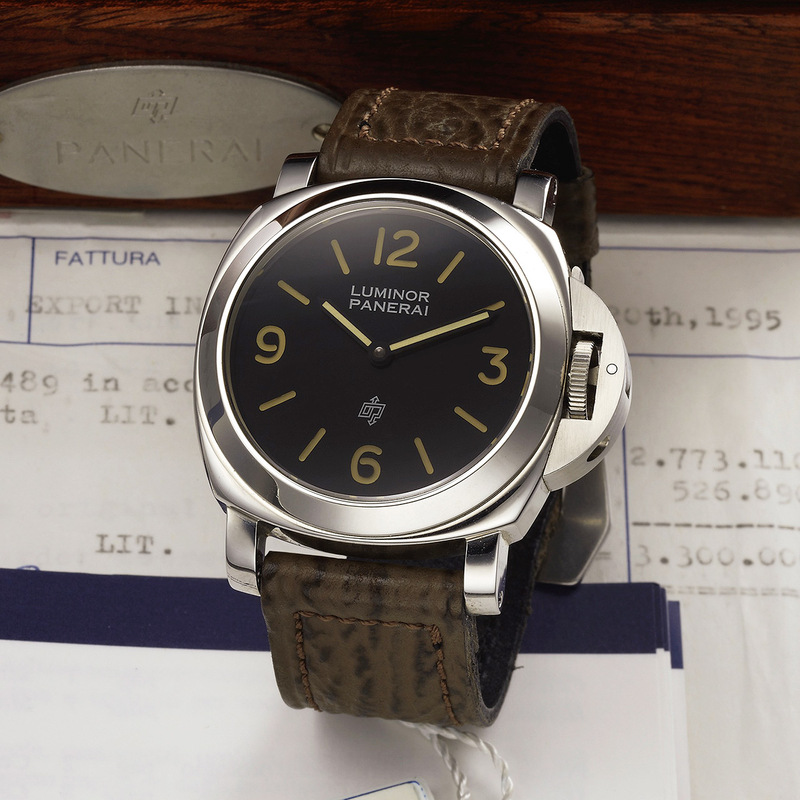 In return, the original Florentine company changed its name to Panerai Sistemi SpA. The stock that was taken over from the old Officine Panerai also included 75 Rolex 618 movements. The provenance of these movements is questionable as they are significantly different than all Rolex 618 before. The story goes that these movements surfaced in the Villino Panerai during the negociations with Vendôme and were included in the package in order to achieve a higher selling price. However, apparently, when Bonati heard of the movements, he decided to use them to replicate the legendary Rolex 3646 used by Italian assault swimmers during WW2. This gave birth to the PAM 21, the very first Special Edition of the Richemont era. For the very first time, a vintage Panerai watch made by Rolex was copied almost 1:1. All vintage Panerais with the exception of the GPF 2/56 are basically Rolex watches with a Panerai dial. 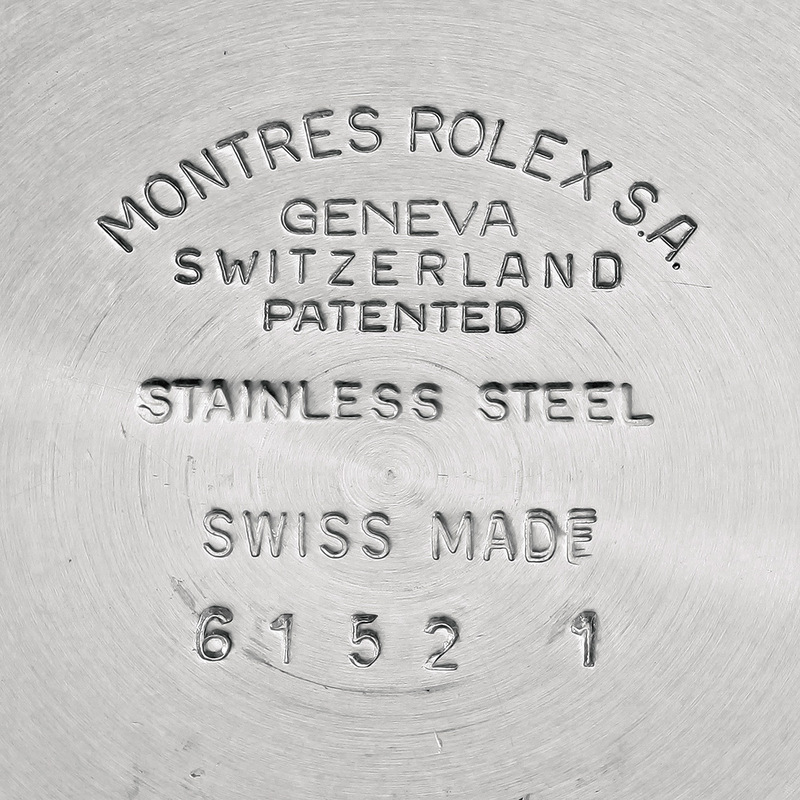 The following image shows a typical Rolex 3646 caseback with Rolex hallmarks. The modern Panerai made the decision to market copies of the Rolex 3646 under the collective term “Radiomir’ while keeping the name “Luminor” for watches with the iconic half-moon shaped crown-protecting device. The PAM 127 is astonishing. The combination of domed sapphire crystal, gold hands and sandwich dial creates an incredible depth effect which gives the watch an almost magical look. However, despite the “1950” designation, I believe the PAM 127 is one of the best modern Panerai creations. The extremely domed sapphire crystal is simply amazing and probably one of the reasons why people love this watch so much. It causes fantastic visual distortions on the dial which only adds to the appeal of the watch. The nickname “Fiddy” apparently originates from the American rapper 50 Cent. The story goes that he was wearing a PAM 127 and somebody asked about the watch. 50 Cent answered: “It’s my Fiddy” (Nineteen-Fiddy). 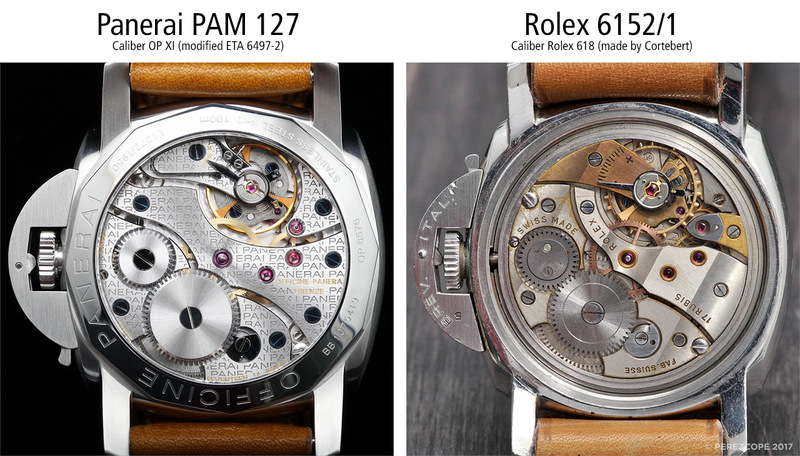 The following comparison shows how close the PAM 127 is to the original watch. Everything is in place, except maybe for the dial, which in my opinion lacks refinement and style compared to the original dial. The modified Rolex 6152/1 that served as an example for the PAM 127 forms part of the Archivio Storico Panerai (Hystoric Panerai Archive) since the take-over of the Officine Panerai brand. 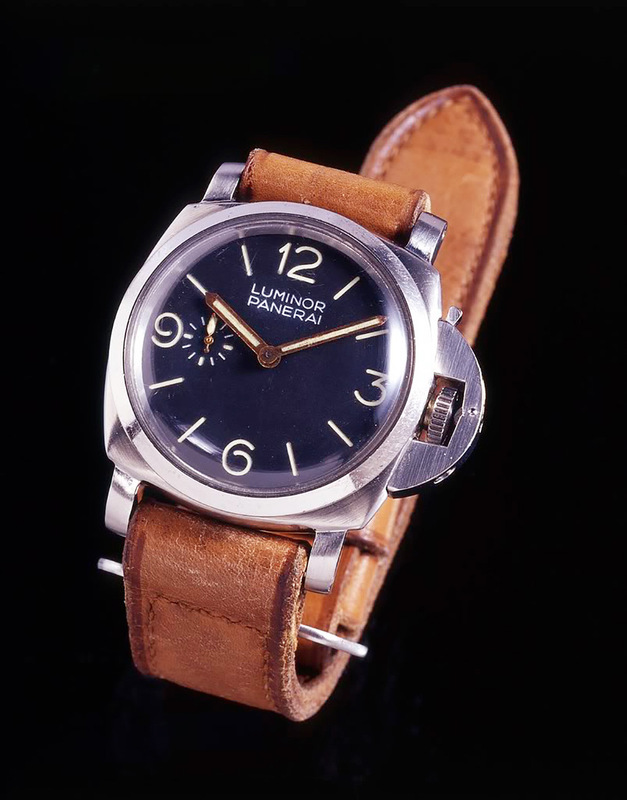 The modern Panerai lists this watch in their Panerai Museum Guide as PAMPL001. The strap of PAMPL001 is very interesting as it was this very strap that inspired lots of strap makers to apply the number 74 on their straps. The number 74 was an inventory number, used by the quartermaster of the Marina Militare for identification purposes. Most of these watches were not assigned to a specific diver, they had to be shared. An interesting observation is that when this vintage watch (PAMPL001) was handed over to Vendôme, the crown guard was in different position. For usability reasons, the lever was designed to open downwards in order to not be in the way when winding the watch. 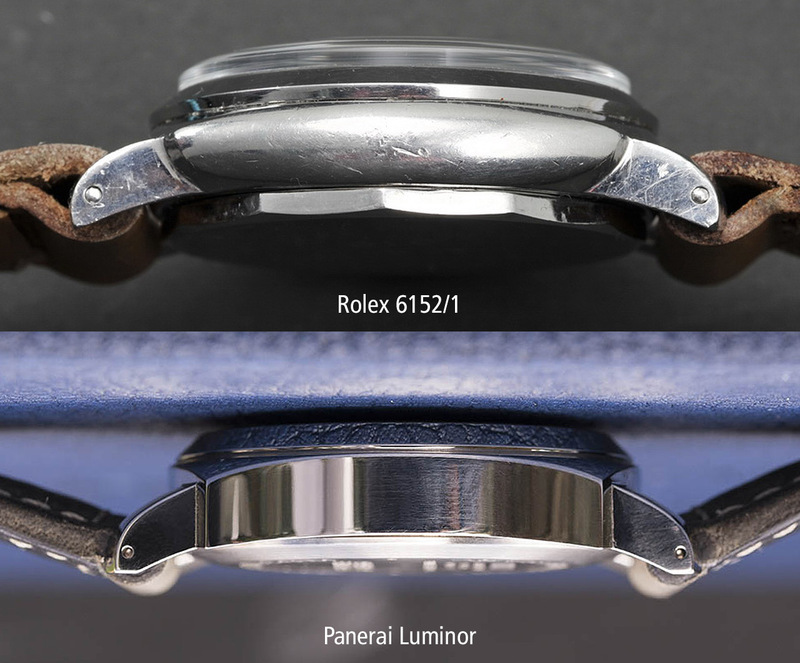 However, as you can see on the comparison below, the modern Panerai flipped the crown guard 180 degress to open upwards instaed and make the “BREV. ITAL.” (Italian Patent) engravings visible. This was probably done to create a historic precendent for having the “REG. T.M.” marks on the front of the PAM 127 crown guard. Winding the PAM 127 is a bit awkward since the lever is always in the way. Panerai realized this ergonomic blunder and watches like the PAM 203 and PAM 372 came with levers opening downwards again. Rolex delivered Ref. 6152/1 with a screw-down crown (the very same “Big Crown” as used in Ref. 6200/6538). The 6152/1 on the image below is a true time capsule. It was on the wrist of an Italian Incursore (assault swimmer) when he died during an underwater exercise in 1957 off the coast of Sicily and remained untouched in a drawer until recently. 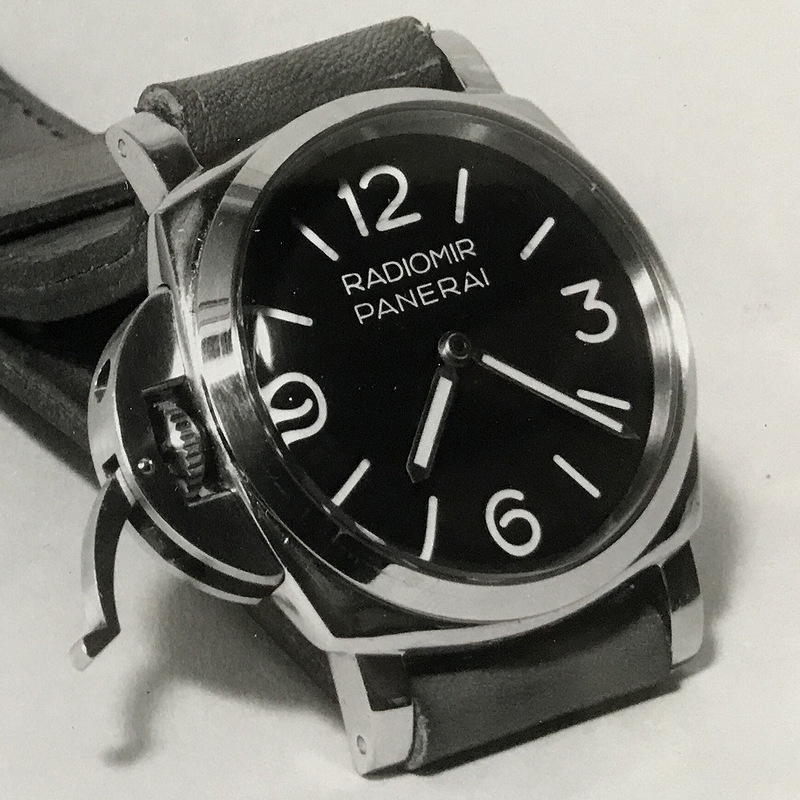 As you can see, Panerai delivered the first 6152/1s with “Radiomir” dial and without crown-protecting device. 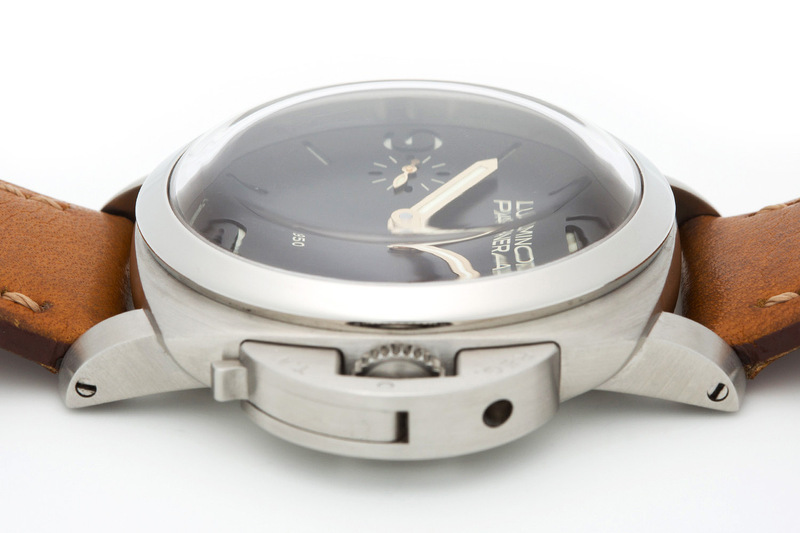 The 6152/1 cases had to be machined in order to get a flat seating for Panerai’s patented crown-protecting device. Basically, the very same Ref. 6152/1 exists with and without crown-protecting device. All 6152/1 were produced by Rolex in 1955. 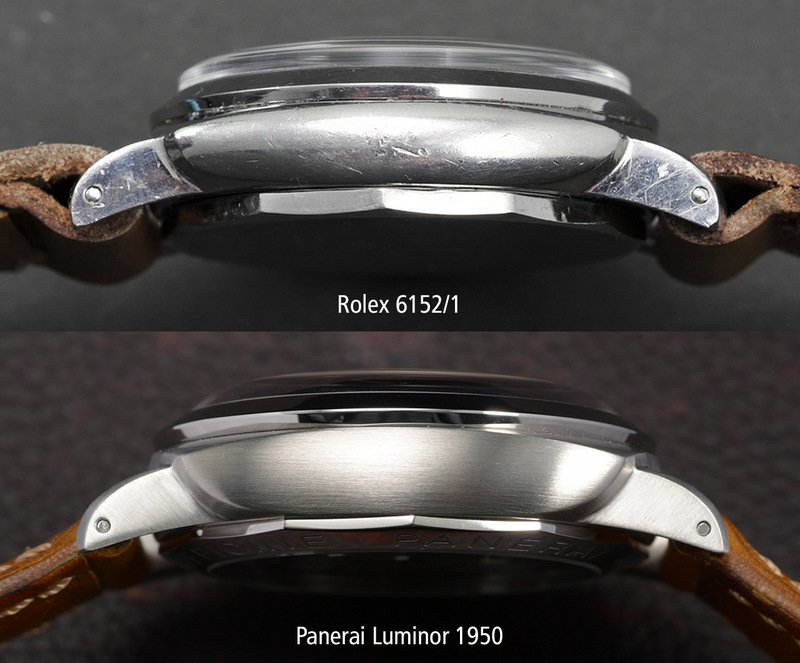 The interesting thing is that the modern Panerai calls 6152/1 watches with the regular screw-down crown “Radiomir 1940”, while the same watches that were modified with crown-protecting devices are “Luminor 1950”. The new 47mm case was no longer bulky as the “Luminor” from 1993, it was now streamlined like the original Rolex 6152/1. This new case style was named “Luminor 1950” and to emphasize its importance, the modern Panerai printed a “1950” designation on the dial and the watch was produced in 1950 pieces. The sandwich dial of the PAM 127 is an extremely simplified version of the original sandwich dials made by G. Panerai e Figlio. It consists of two superimposed discs that are glued together. An upper disc with cut-outs for numerals and markers and a backplate where the superluminova is applied in the area of the cut-outs. With the PAM 127, the modern Panerai also introduced a modified ETA-based caliber, the OP XI. The base caliber was still an ETA 6497-2 but the bridges were redesigned to mimik the look of the legendary Rolex 618. Below you can see how the bridges on a regular ETA 6497-2 look like. “Luminor 1950” is a contradiction, and here’s why. In Dec. 1959, the United States Atomic Energy Commision (AEC) warned the American people about dangerous radioactivity levels in certain Rolex watches. The world became aware of the significant radiological hazards of highly radioactive lume used in wristwatches, and as a result, the watch industry moved away from radium and switched to tritium, a far less radioactive substance that poses no real threat to human health. The Swiss government restricted the use of radium with the Radiation Protection Act from April 19, 1963. Radium was no longer available without a permit from the authorities. This situation was a great business opportunity for G. Panerai e Figlio. 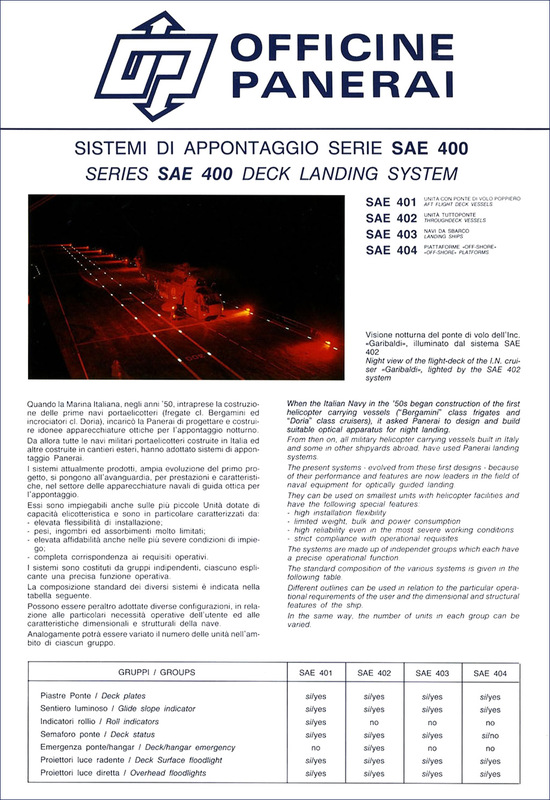 Hundreds of watches and instruments supplied to the Marina Militare needed to be updated. Giuseppe Panerai created his own version of tritium-based lume and named this new product “Luminor”. To present the new “Luminor” compound to the Marina Militare, Giuseppe Panerai thought of something very special. In order to build a bridge to the glorious past of the Marina Militare, he modified around thirty Rolex 3646 by adding solid lugs and Angelus 240 movements. These watches are also known as “Transitional 3646”. 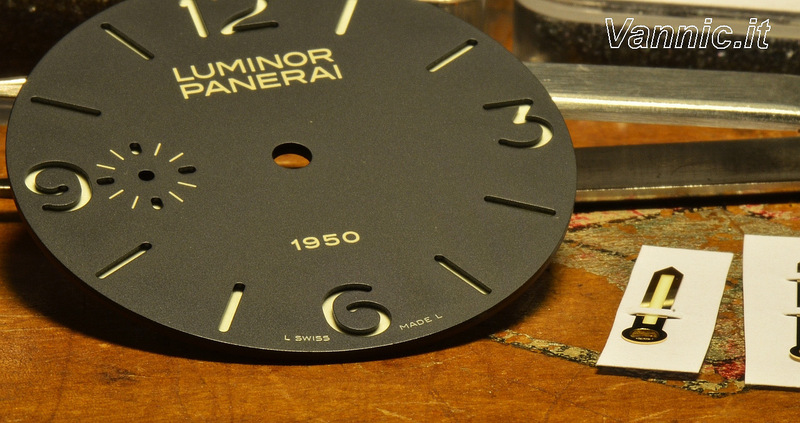 Wait, isnt’t there evidence that proves “Luminor” was patented by Panerai in 1949? Yes, and NO! 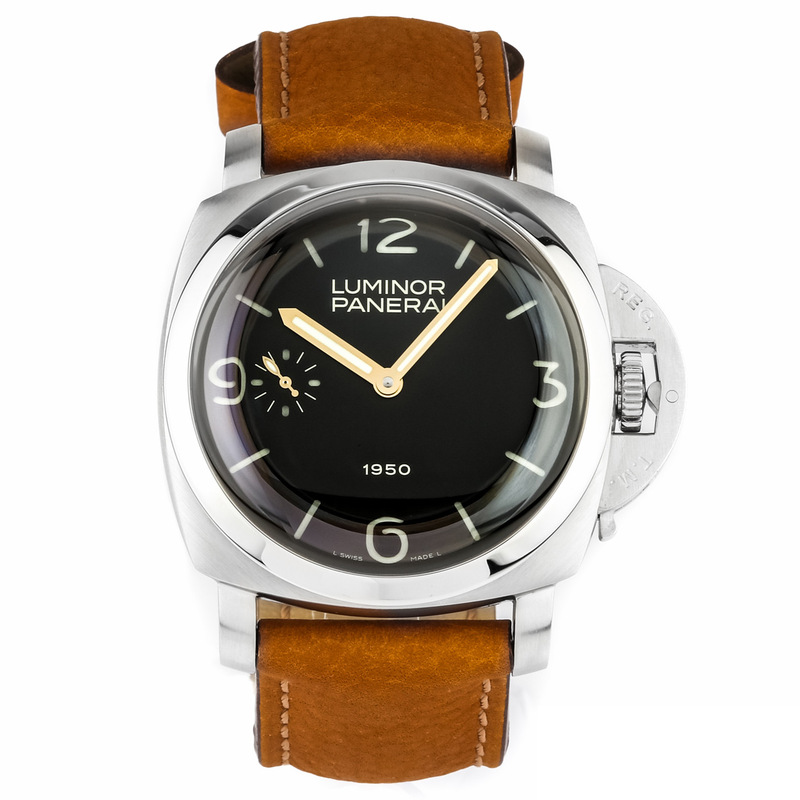 The modern Panerai claims “Luminor” was patented in 1949, but this is only partially true. In 1949, Giuseppe Panerai registered the trademark “Luminor” as a name for all sorts of luminescent, fluorenscent and phosphorescent products in whatever form (solid, paste, powder, liquid). Note that this document doesn’t mention tritium or any other specific substance. It’s just a trademark registration! 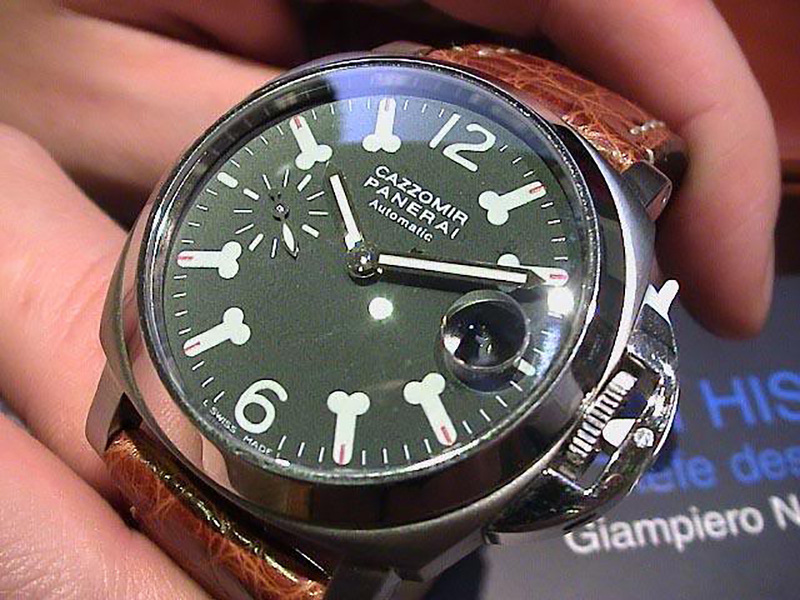 Giuseppe Panerai came up with a cool name and wanted to have it registered just in case. That’s it! 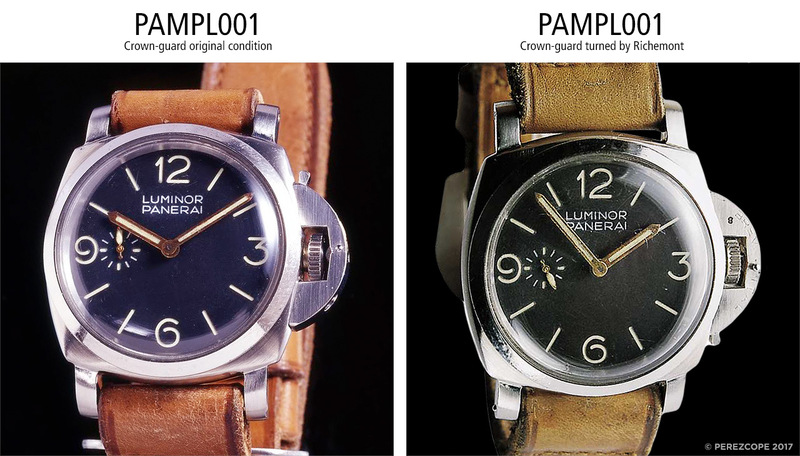 Just like Luminor, the tritium-based luminous paste, the 6152/1 (PAMPL001) that served as model for the PAM 127 is actually from the 1960s. Rolex produced Ref. 6152/1 in 1955 but G. Panerai e Figlio modified these watches and introduced the Angelus 240 movement with small seconds at 9 only around 1962/63. Evidence for this can easily be found on the Angelus 240 movements. 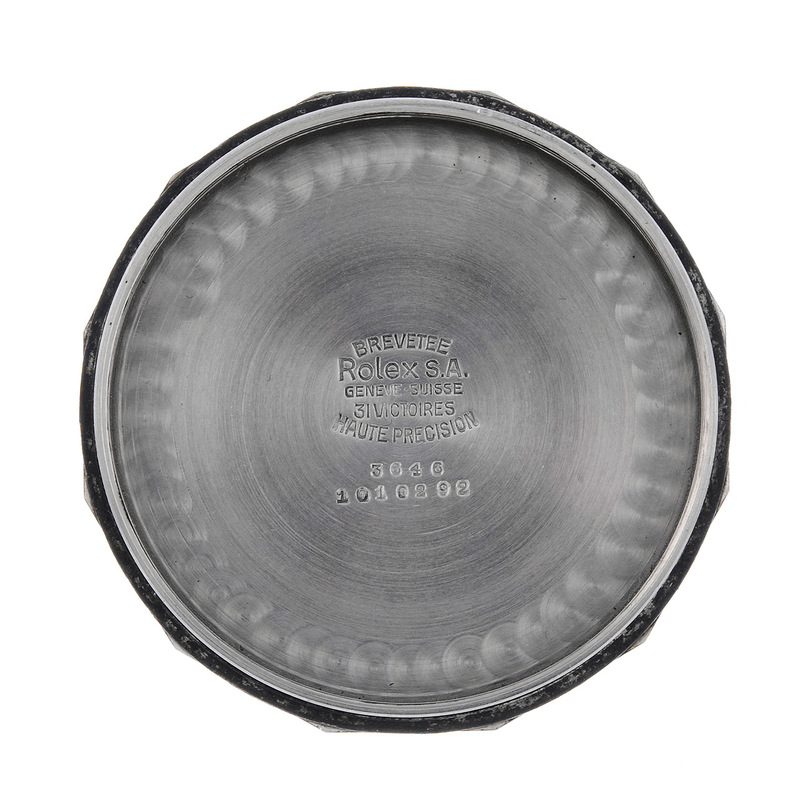 From 1949 on, Angelus started to stamp production dates on their main plates. Original Angelus 240 movements found in Ref. 6152/1 watches have either MAI.61 (May 1961) or JUIN.61 (June 1961) as a production date. 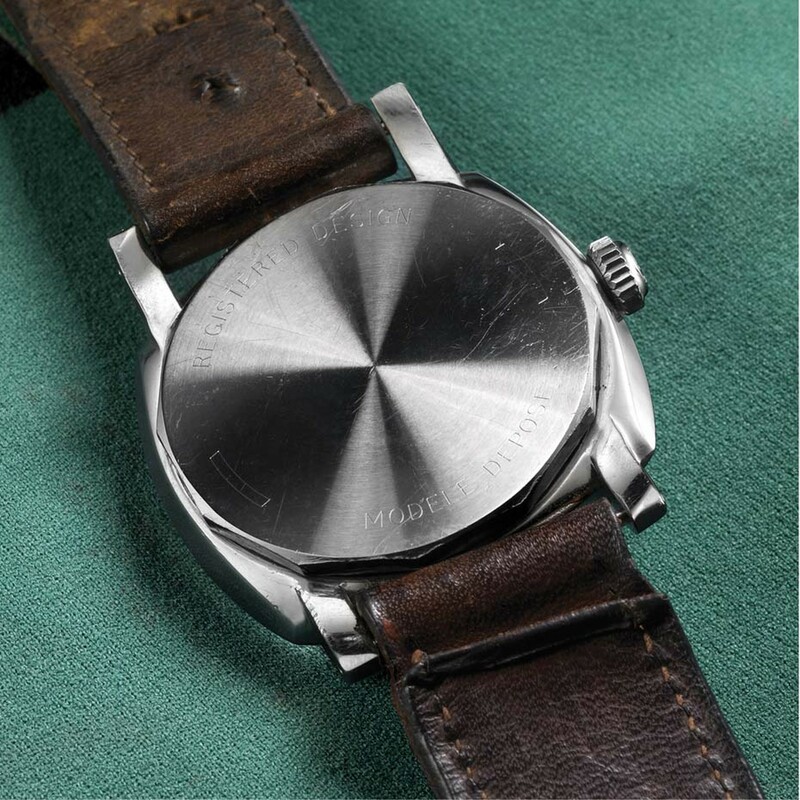 There is one 6152/1 with “Luminor” dial which has an Angelus 240 marked with the production date 12.55 and features the typical brushed finish instead of the later Geneve stripes. This type of movement was specifically made for the GPF 2/56 (Egiziano Grosso) from 1956. There is a simple explanation for this early movement in a 6152/1. The watch we are talking about has the matriculation number SMZ MM 186 and it belongs to the very last batch of 21 pieces delivered to the Marina Militare in 1968. The 12.55 movement was either a left-over from the GPF 2/56 production, or it was replaced for some reason. The big question is, how can the modern Panerai make such grave mistakes over and over again when it comes to their “own” history, you might ask. It seems the modern Panerai did not do their homework, instead they relied on very bad external advisors or made up some stories themselves. 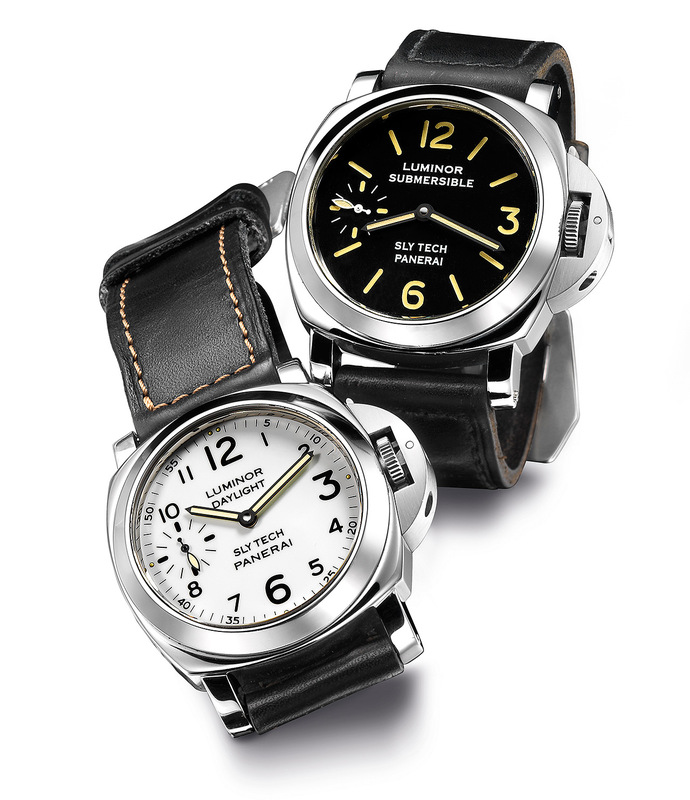 However, in 2012 Panerai went on and introduced another type of case called “Radiomir 1940”. The “Radiomir 1940” has lugs carved out of the same block of steel, just like the “Luminor 1950” case. The only difference is that it comes with a Rolex-style screw-down “Big Crown” instead of the iconic Panerai crown guard. Let me be very clear, there is no such thing as a “Radiomir 1940” case in Panerai’s real history. The first reference which Rolex made for Panerai with solid lugs is reference 6152 from 1953. Yes, 1953. These watches have nothing to do with the 1940s. 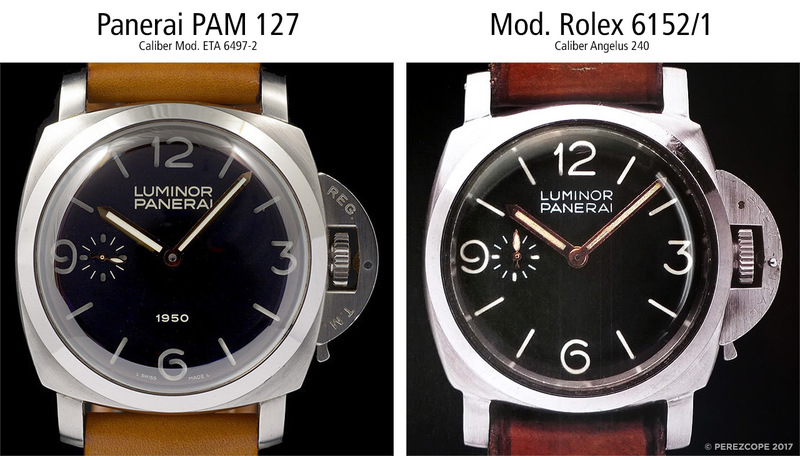 The modern Panerai’s attempt to simplify the Panerai models sprectrum just doesn’t add up. Using the name of a luminous compound as a name for a watch model was the wrong approach, as the following image clearly shows. This image is from Giuseppe Panerai’s photo archive from the 1950/60s. According to the modern Panerai this is a “Luminor” as it features the crown-protecting device. But have a look at the dial. It cleary says “Radiomir”. The reason for this is pretty simple. G. Panerai e Figlio used the radium-based lume throughout the 1950s and early 1960s, just like every other watch company did. The PAM 127 is my favorite modern Panerai. No other PAM speaks to me the way the “Fiddy” does. It’s always a special moment to see one in the flesh. The story behind it might be wrong but this doesn’t affect the charm of the watch itself for me. Unfortunately this cannot be said about the company that claims to be “Officine Panerai”. After all the exposed made-up stories, forged historical images and continous misrepresentations, the charm is certainly gone. Let’s hope the new management will bring some positive changes in this regard. 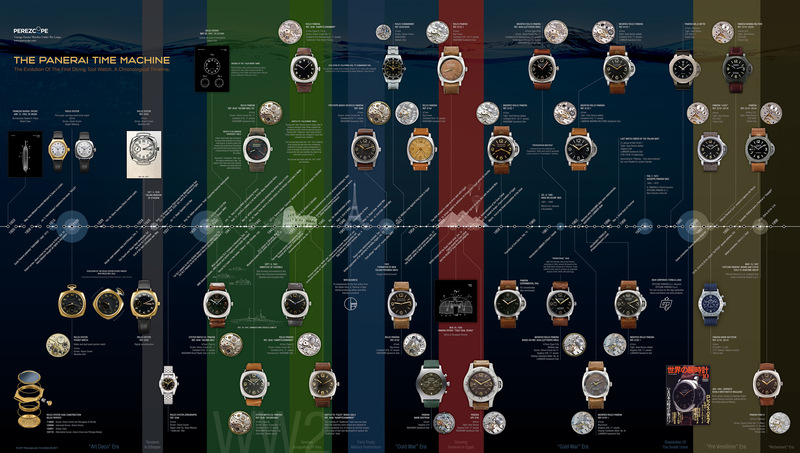 The following timeline shows the true history of Panerai watches. Please click the graphic to download the highres version. Beautiful Post! I would add the observation that a small seconds dial using an OP XI caliber, which is a direct descendant of the Rolex 618, was also a big mistake since there were no Rolex Panerai with small seconds ever. Any specific reason the cover photo of this article has 1960 instead of 1950 on the dial of what seems to be a Pam127? I think much of the confusion about the history of these models is understood and/or superseded by the reality that stories make up the universe, not atoms. The entire watch industry is based on lore, some real and some embellished, to create that emotional bond. I love this site and the work here is second to none, but I feel sometimes that the excessive concern about what part corresponds to which date, while interesting, is not really relevant in the grand scheme. I hope this isn’t perceived as disrespectful.